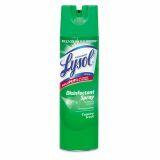 Professional LYSOL Brand Disinfectant Spray, Country Scent, 19 oz Aerosol, 12 Cans/Carton - This tuberculocidal, virucidal, fungicidal and bactericidal formula kills 99.9 percent of germs on hard, nonporous surfaces and is effective against more than 100 microorganisms including Influenza A Virus, MRSA, Norovirus, Rhinovirus, Poliovirus Type 1, Hepatitis A Virus, Hepatitis B virus and HIV-1 (AIDS Virus) when used as directed. 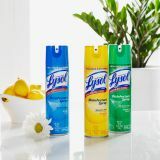 Professional Lysol Disinfectant Spray is effective against Mycobacterium bovis BCG (TB) in 2 minutes (pre-cleaned surfaces). 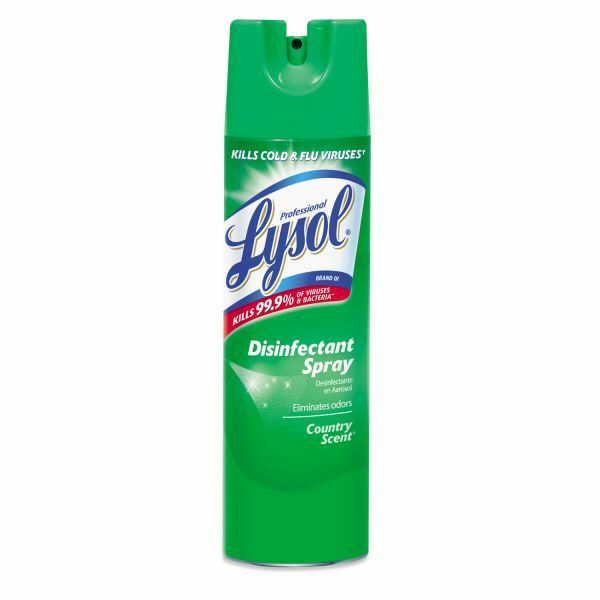 It eliminates odors and prevents the growth of mold and mildew, a common source of allergens, for up to seven days. 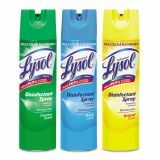 Use on showers, sinks, countertops, toilet areas, toys, telephones, garbage bins, waiting rooms and in laboratories. NSF Category Code D1 disinfectant is EPA registered.